Now Offers the convenience of Home Delivery! They're not just pets...they're family. 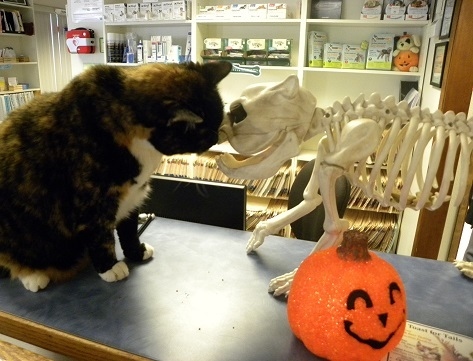 Welcome to Mountain View Veterinary Hospital!
" They're not just pets...they're family." Mountain View Veterinary Hospital offers on-call after-hours emergency services between the hours of 6:30 am and 10:00 pm for our established clients. If you have any questions about this policy please feel free to call us at (360) 438-9623. Prearranged drop-offs for treatment and surgery are between 7:15am and 8:30am. Please see our newest edition of "Dear Mamma"! She has something to say to all of our aging pets out there. We at Mountain View Veterinary Hospital have successfully achieved accreditation by the American Animal Hospital Association. We hold a place of honor within the association and profession. Only 14% of the veterinary practices throughout the United States and Canada have made the commitment to voluntarily participate in an on-site evaluation based on the highest standards in veterinary medicine. Our practice was evaluated on over 800 standards, proving a strong desire to provide high-quality medicine and top-notch client services to the Lacey, Olympia, Tumwater and Thurston County areas. If you want to learn more about what AAHA standards mean for your pets quality of care, please visit the link below.